With access to over 125,000 allotment holders and avid gardeners across the UK, The National Allotment Society is perfectly positioned to help you spread the word about your products. Media Pack. If you would like to advertise in our magazine or on the website click here to download the Media Pack and click here for a sample from the ALG magazine. Would you like to offer our members a discount and feature in our member offers booklet? The offers will also be promoted in the magazine and a quarterly email newsletter. Please click here to download the Media Pack for details of very reasonable advertising rates. If you would like to talk to the PR Officer please email diane@nsalg.org.uk or call 0845 815 0076 Click here to read about the benefits of allotment gardening. IN 2009, 2011 and 2013 the Society, with the support of Transition Kirby undertook an Allotment Waiting List Survey. The latest survey in 2013 surveyed all 323 English principal authorities and 321 responded. The main findings were that 67% of the authorities held waiting list data and an average of 52 people were waiting for every 100 plots. We have no plans at present to repeat the surveys. The Association of Public Service Excellence (APSE) survey their members each year (140 responses) and, in the 2018 State of the Market Report (Allotments), they reported that the demand for allotments is still high, with 75% of respondents having 100-400 people in the waiting list for an allotment compared to 72% in 2017, and 8% claiming they have over 1000 people on their waiting list which was the same percentage in 2017. The majority of respondents (90%) stated that the waiting list is regularly updated (e.g. names of people who are no longer interested or those who have moved are removed). With regards to average waiting time for an allotment plot over 40% stated that over 18 months was the average, which is a significant drop from 2017 when the figure was 52%. 9% of respondents could guarantee a plot within 6 months which is a considerable decrease on 2017 when the figure was 20%. The average waiting time is now between 6-18 months (47%). Under 5 % of respondents can offer an allotment plot within 3 months. New Plots In the above report 36% of respondents stated that their council plans to increase the number of allotments; either directly by the council or via builders/developers as part of housing/planning policy. The Society is putting together a portfolio of policies relating to the most important issues debated in the allotment movement, click on the links to read. 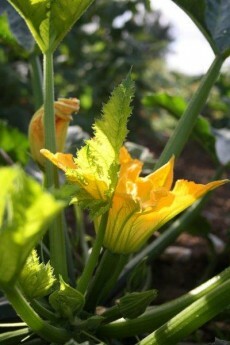 Thank you to Mick Webb, one of the NAS/Shield photo competition finalists for the beautiful image of a courgette flower.